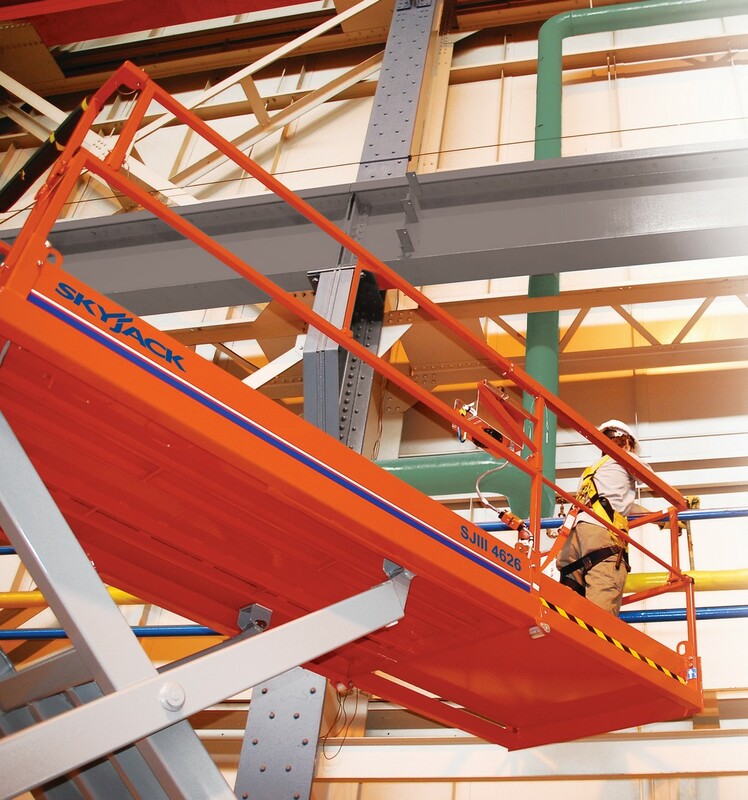 The Skyjack SJ4626 offers a maximum platform height of 7.9m (26ft) with a larger working area than the SJ3626. The SJ4626 has a platform size of 1.07m x 2.13m and a maximum capacity of 454kg. Its 1.22m roll-out extension deck can be secured in multiple positions.